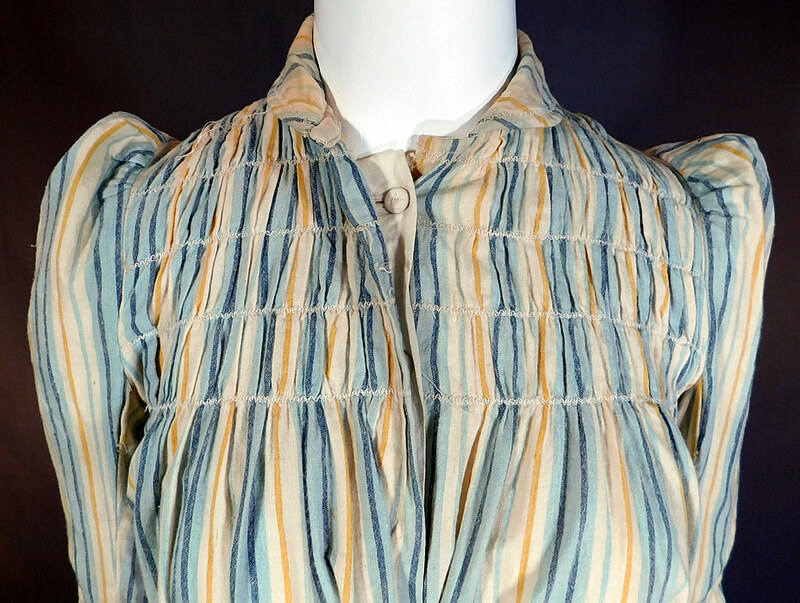 This antique Victorian era striped print flannel wool watteau wrapper workwear morning dress dates from 1900. 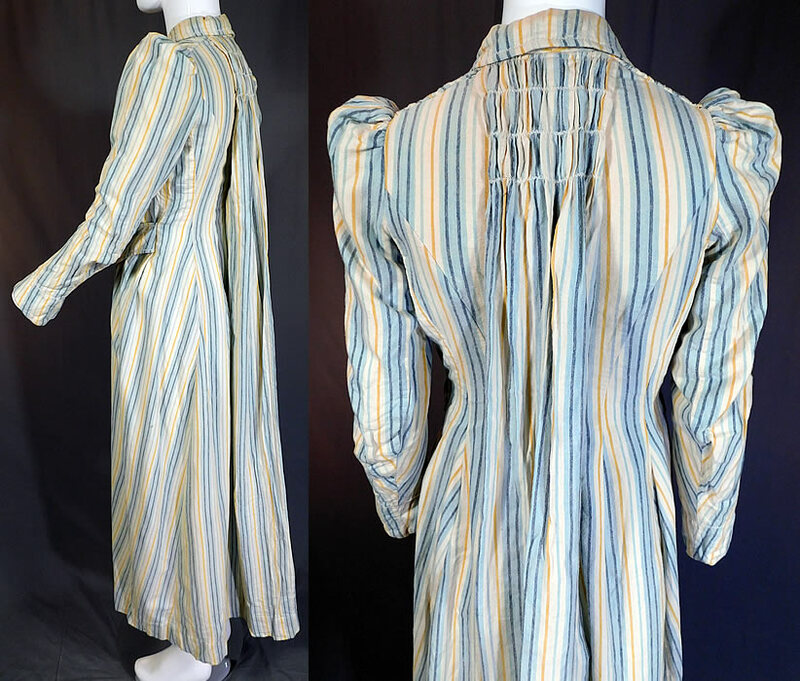 It is made of a blue, yellow and white striped print pattern soft brushed nap wool flannel fabric. 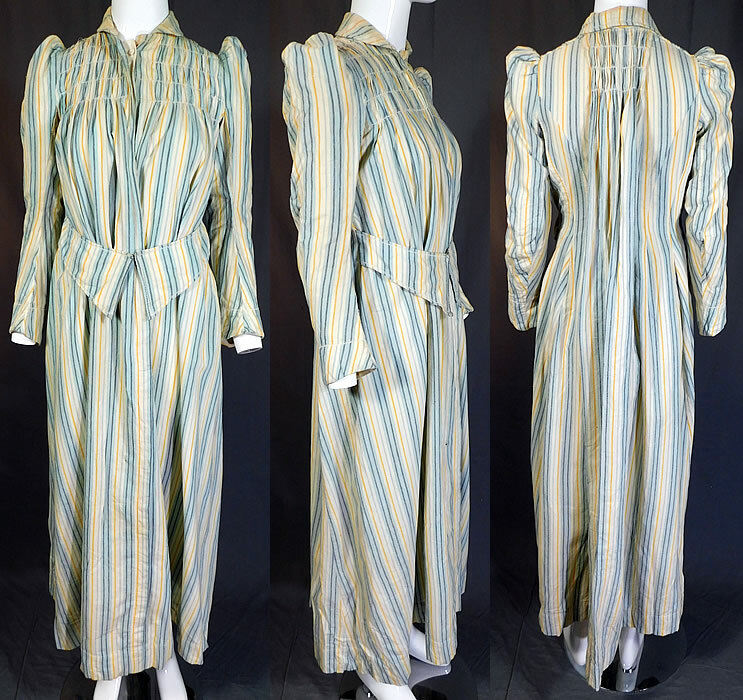 This womens work wear wrapper morning dress is a long floor length, with a watteau back drape, smocking details on the front and back top, small fold over collar, gathered puff shoulders, long tapered sleeves, fully lined, with an attached belted front and button closures on the front modesty panel insert camisole top lining the inside bodice. 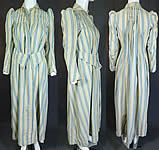 The dress measures 53 inches long, with a 34 inch bust, 26 inch waist, 52 inch hips, 22 inch long sleeves and a 11 1/2 inch back. 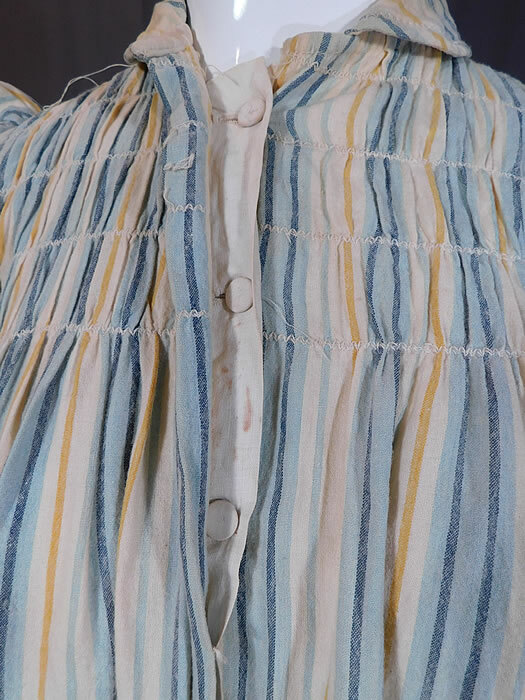 It is in good as-is condition, with a few tiny moth holes on the skirt, some faint soiling, stains on the inside back collar and inside cotton lining top. 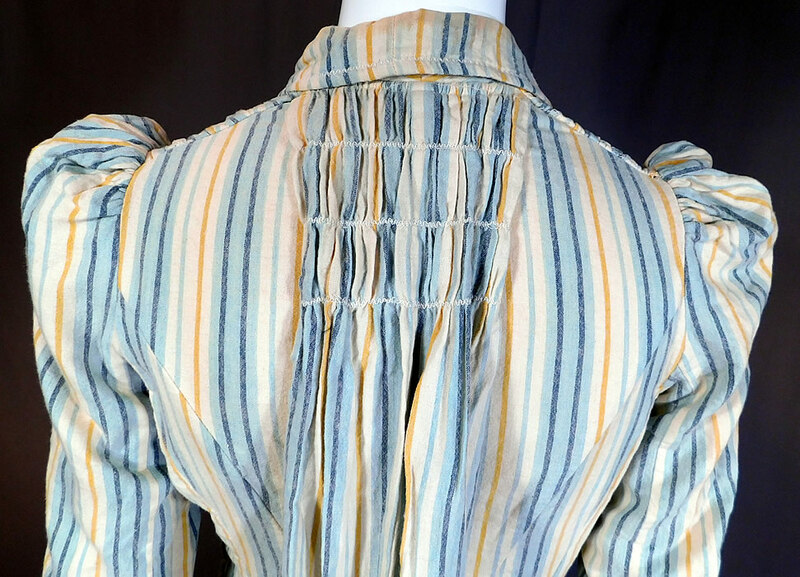 This is truly a wonderful piece of antique Victoriana textile art!